Education: I got a PhD in medieval lit to impress a man. Select Credits: Original plays include Different Animals (Cherry Lane, 2013), Singles in Agriculture (The Brick, Dixon Place, 2015) and Dido of Idaho (EST Unfiltered, 2015). 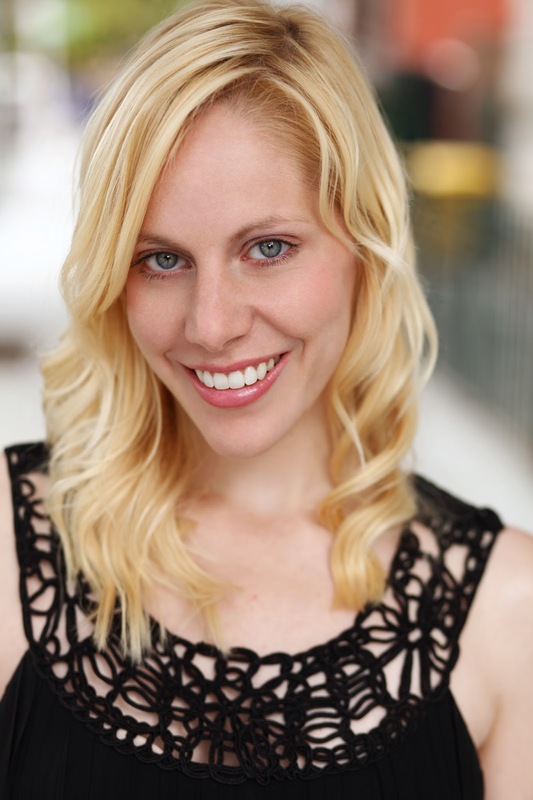 Select acting credits include Masha in Three Sisters (La Jolla Playhouse/WOW Festival), Meg in Chiara Atik's WOMEN (The PIT, LA Fringe), Priscilla in Singles in Agriculture and Crystal in Dido of Idaho. Why theater? : Playwriting is the best medium for excavating the poetics of contemporary speech. As an actor, I love discovering how each grammatical detail and turn of phrase reflects a character's desperation. When you can channel that pain in front of a live audience, you can feel their compassion materialize around you. You experience the emotional and social consequences of language in real time. Who do you play in The Offending Gesture? : It's not so much me playing the role as my canine alter ego, Biscuit, who's also an actress. In The Offending Gesture, Biscuit plays Blondi, a German Shepherd. Tell us about The Offending Gesture: The play is based on a historical incident, when the Nazis learned a dog in Finland named Jackie could perform the official party salute. The Germans believed Jackie was mocking them and undertook an aggressive investigation. In the play, Hitler's dog Blondi has to grapple with a growing suspicion that her beloved master is, well, everything we know Hitler to be. For me, The Offending Gesture is about what happens when we realize the institutions we're most closely tied to are responsible for terrible wrongs. There are a lot of references to American foreign policy. What is it like being a part of The Offending Gesture? : It's been a privilege to work on Mac Wellman's writing with so many highly specialized, multidisciplinary artists and technicians. Our director Meghan Finn has given me the freedom to do wild, comedic character work alongside avant-garde theatre-maker Kristine Haruna Lee and my frequent collaborator Layla Khoshnoudi – all the while surrounded by virtuosic musicians, and supported by some of the most captivating design elements I've ever seen. If you could go back in time and see any play or musical you missed, what would it be? : I keep hearing about the great female performances in Joshua Conckel's The Sluts of Sutton Drive when it first appeared at Ensemble Studio Theatre several years ago. What show have you recommended to your friends? : A true gem of a reading series on the Lower East Side called Hearth Gods, curated by Michael Yates Crowley and sprinkled with variety acts. Often when I work with someone awesome it eventually comes to light that they've put up work at Hearth Gods at some point or another. Next one's January 30th. What’s your biggest guilty pleasure? : ABC's "Nashville"